We just put up our Christmas tree at my house today, and that was followed up by my town's Christmas parade, so I was feeling festive! 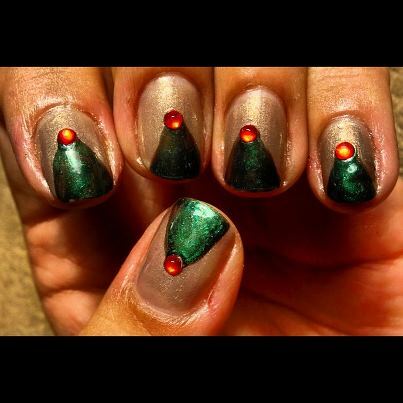 I used Zoya Jules and Zoya Suvi, and topped off my trees with some rhinestones from Bundle Monster. This nail design is SUPER similar to Cute Polish's design on Youtube. Her full tutorial can be found here. Super simple & cute! Happy Holidays!